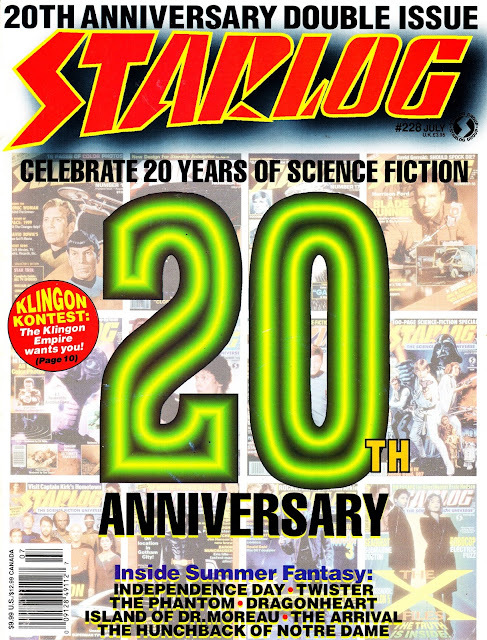 STARLOGGED - GEEK MEDIA AGAIN: 1996: STARLOG MAGAZINE ISSUE 228 celebrates twenty years in business. 1996: STARLOG MAGAZINE ISSUE 228 celebrates twenty years in business. From July 1996: STARLOG MAGAZINE celebrates twenty years in print. Ironically, it obviously wasn't a vintage year for summer blockbusters. still an interesting mix with ID4 the clear winner in terms of box-office.